Image courtesy of Mustafa Faruki & theLab-lab for architecture. Currently the Peter Reyner Banham Fellow at the SUNY at Buffalo School of Architecture and Planning, Mustafa Faruki is an architect, artist and educator. He is the founder of theLab-lab for architecture, a nomadic practice that wants to completely reinvent the potential outputs of architectural design. To this end, the office produces work that positions architecture as the conveyor of imagination, the garden of proposition, and the battleground of proof. While each of theLab-lab═s projects is unique and optimized to the conditions at hand, they are all concerned with reflecting on new strategies to save the architectural profession from itself. 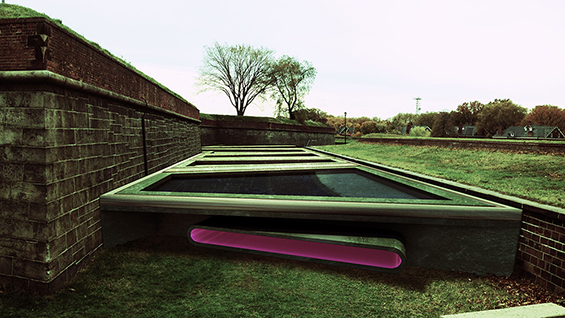 Work by theLab-lab has appeared in the Drawing Center, the Arts Center on Governors Island, the Queens Museum and MoMA. The firm was awarded the Architectural League═s Prize for Young Architects in 2017.